The starting price for the Lexus 450h FWD is $41,660, which amounts to $420 less than the outgoing first-generation hybrid. The AWD version of the 450h will have a MSRP of $43,250, $230 less than its 2008 equivalent. 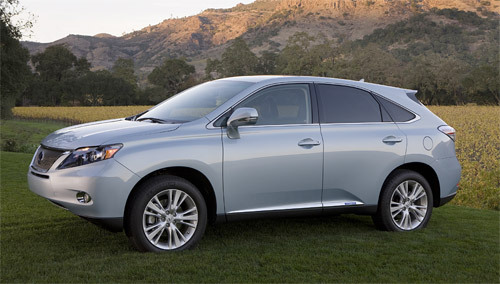 These prices are roughly $5,000 more than 2010 RX 350. The RX 450h will be available by late-summer. 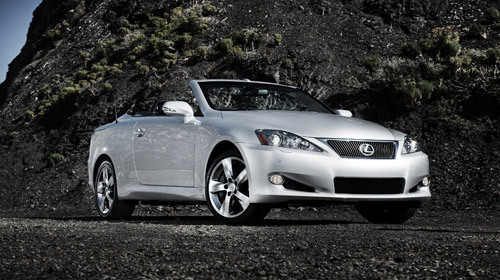 The IS convertibles are also priced well over their sedan counterparts. The IS 250C with a manual transmission will start at $38,490, the six-speed automatic IS 250C will retail for $39,660, and the IS 350C will begin at $43,940. This equals a $7,185 premium over the sedans, but such price increases are expected when it comes to convertibles. It certainly isn’t out of line with its IS competition, in fact, compared to BMW’s $10,000 premium, it could almost be considered a deal. The IS convertibles will be available in dealerships starting this May.